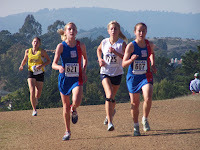 Jennifer Bergman of Valley Christian, SJ runs 17:25 at Crystal Springs today! Another great race on the course but this time it's in the Varsity Girls' division as 3 of the top runners in California battled for the WCAL individual crown. In the end it was Valley Christian's Jennifer Bergman defeating her two St. Ignatius opponents (Katy Daly and Rachel Hinds) to record the fastest time on the course this year. Her time of 17:25 also makes her the 13th fastest high school girl to ever run the course! Daly also established a personal record by 5 seconds with her 17:42 effort while Hinds became the 6th fastest freshman on the course with her 17:56. The St. Ignatius girls won the girl's competition with 44 edging Presentation at 53. Below: SI at the start. Leaders at 1st Mile in 5:39. Bergman and Daly went through 2nd Mile in 11:34. Picture on the right is with about 900m. to go. Bellarmine won the Varsity Boys with 45 points with St. Ignatius 2nd with 50 and St. Francis in 3rd at 52. Phil Pompei of St. Francis took the individual victory with 15:46. Below: Pompie leading field down and up the hill. Leader with 900m. to go. 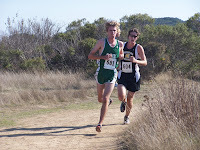 Great race between Philip MacQuitty of Palo Alto and Garrett Rowe of Mt. View. Both runners timed in 15:12 with MacQuitty just edging Rowe at the line. Here are the rest of the individual winners. Team race (El Camino) just as close as Palo Alto pulled the upset over Mt. View and Santa Clara with 48 points. Mt. View and Santa Clara both scored 53 with Mt. View gaining the 6th man tiebreaker. 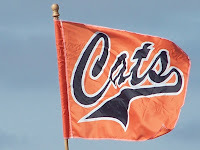 Los Gatos Boys take the DAL title with 31 points packing 6 in the top 15! As for their warm-up gear??? Gunn Girls' win tight battle with Mt. View 30 to 36. Two of the best in CCS! 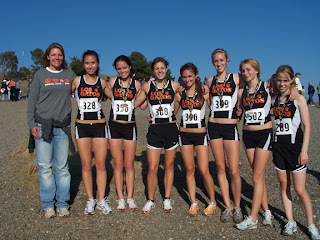 Los Gatos girls' pack it in as they finish with 5 in the top 11 and score 39 points. On a chilly Monday afternoon, the Blossom Valley Athletic League (BVAL) kicked off championship week at the Crystal Springs Course. The league is comprised of three separate divisions (Mt. Hamilton(A), Santa Theresa(B) and West Valley(C). All three divisions compete on the same day at the league final to determine the qualifiers for Central Coast Section (CCS) which will take place on Saturday, May 10. With 24 total teams, the teams in the top 50% advance as well as the top 9 individuals not on those teams. The six races that took place included the girls and boys' reserve races, girls' junior varsity, boys' frosh/soph and the two varsity races. The girls varsity race pitted Stephanie Barnett of Leland against Rebecca Habatmu of Prospect (formerly of Roseville). Barnett and her younger sister, Claudia, stormed out to an early lead as they jetted down the downhill start. Habatmu caught the older Barnett during the flat part of the first mile and ran side by side heading toward the mile marker. Barnett passed through the mile in 5:33 followed by Habatmu at 5:34. Barnett kept hammering away during the downhill filled 2nd mile with Habatmu doggedly hanging on as the two runners passed the two mile mile in 11:35 and 11:36. Barnett eventually pulled away during the third mile following her ascent of Cardiac hill (a steep 80 meter hill just past the 2 mile mark). 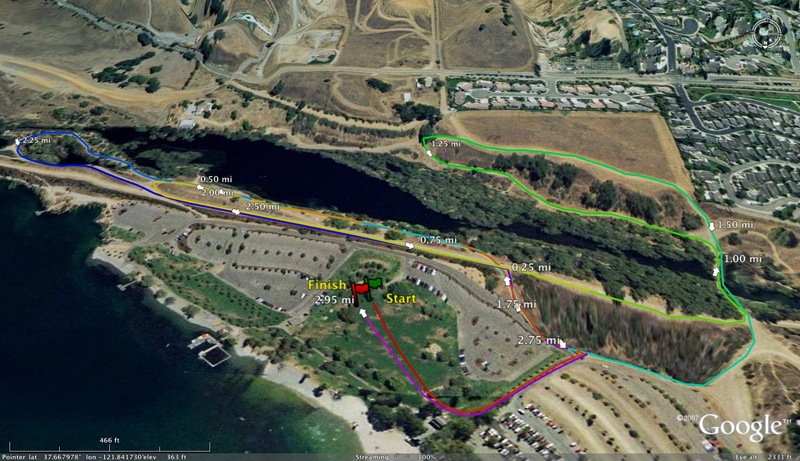 Her time of 17:36 is the fastest time this year at the Crystal Springs Course. It was also a new school record for Leland as her time eclipsed Jennifer Ashe's 17:37 from 1987. The 17:36 ties Barnett with Maria King of the now defunct San Jose Cindergals for the 38th fastest time recorded on the course by a high school runner. Habatmu ran 17:51 for 2nd place, which improved her personal record on the course from the 18:07 she ran the previous week at the 3rd Center Meet. The team battle was a close one as Leland edged Sobrato 51-57 powered by the 1/4 finish of the Barnett sisters. Sobrato had 3 top 10 runners with Kirsti Whitmeyer, Abhi Deveraj and Alex Seda finishing in 6th, 7th and 8th place respectively. Willow Glen finished in 3rd place with 150 points led by 9th place finisher Hayley Tharp. The varsity boys' race featured one of the best teams (Willow Glen) and runners (Mohammed Abdalla of Willow Glen and Lance Wolfsmith of Sobrato) in Northern California. Willow Glen has been ranked in state throughout the season and despite still missing one of their top five runners, dominated this day with 25 points to the 107 for the 2nd place Evergreen Valley. Abdalla, the defending Division III state champion, had aspirations of breaking Mitch Kingery's fabled course record of 14:28 that dates back to 1973. As many of his races, this was to be a solo record attempt for Abdalla. He swept through the first mile in a very relaxed looking 4:44. Wolfsmith came through in 3rd place along with Nohe Lema of WG as they both trailed Jose Bedolla of Yerba Buena. Abdalla passed the 2 mile mark in 9:46, comfortably in the lead and went on to finish in 14:58, the fastest time on the course this year. Wolfsmith came in 2nd at 15:16 followed by Lema in 15:30. WG was able to pack their first five in the top 10 as Valenti Julien came in 4th in 16:01, Nati Wolde was 7th in 16:22 and John Ladd finished 10th in 16:25. 3rd placer Lema, a junior, is participating in his first cross country season. He took part in Track and Field last year and with some friendly prodding from his teammates decided to give XC a try this year. 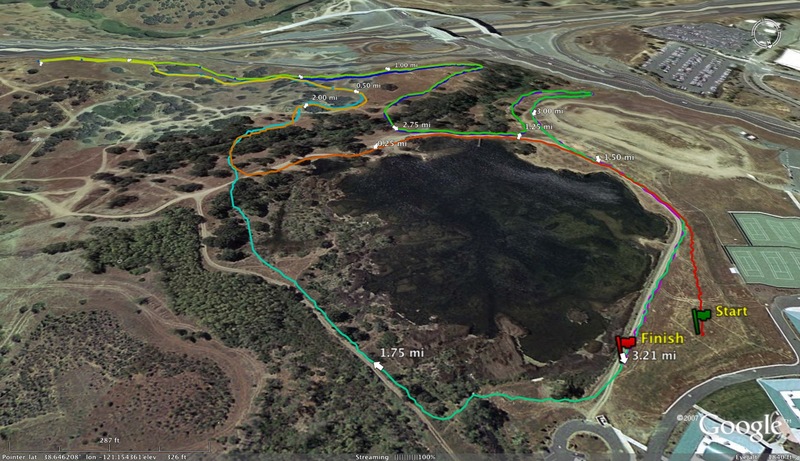 In his lone attempt at XC last year, Lema couldn't finish the Crystal Springs course. His admiration for Mohammed was clear as he spoke at length of his teammate's pacing help during races as well as helping him with both the mental and physical parts of the sport. Lema said his first season with XC has been "amazing!". As for the CCS meet, Barnett feels that her two biggest competitors in Division II will be Gunn teammates, Jackie Evans and Allegra Mayer. Three teams will qualify out of the division to the state meet and Leland could surprise a few teams with a youthful top 7 (4 freshmen, 2 sophomores and 1 junior). The strong team favorite at this point is Mt. View HS. Willow Glen will have their hands full in Division III with a suddenly potent Aptos team, a streaking North Monterey County team (fresh off their MBL championship) as well as one of the WCAL's best, St. Ignatius. The healthy return of Eyoel Galato would greatly aid their cause as this will be the most competitive division in CCS along with Division II. For those people that follow the national scene, Mt. 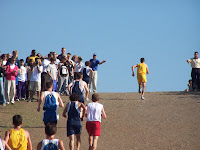 View HS in Utah is synonymous with success including 3 national championships each in cross country and track and field. Over the past few seasons, our own Mt. 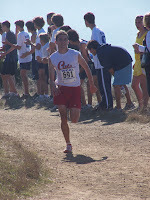 View HS in California has emerged as one of the top cross country teams in their league, the Central Coast Section and Northern California. Below is an email interview I did with Mt. View coach Evan Smith before he took his team down to the Mt. SAC Invitational where the boys' team recorded the fastest team time in CCS running 82:00 while the girls recorded the 2nd fastest team time (behind Carlmont HS) running 98:14. With the majority of both teams being underclassmen, Mt. View HS is definitely a team to watch for this season and beyond. 1) Describe your background in running and how you got involved with the sport of Cross Country/Track and Field. I started doing 5k races with my dad around the age of 12. I remember it was a big deal for me the first time I beat him. I snuck up on him and blew by him as fast as I could. I didn’t want him to be able to react. I have the hand-eye coordination of a fish, so I knew the ball sports were out for me. That left wrestling (my brother was a good wrestler) and cross country/track (my sister was a good runner). I chose running, probably because my sister’s team (Foothill HS in Orange County in the early 80s) was a very good team, and I wanted to be a part of that. Plus, there were no girls in wrestling. 2) What was your coaching experience before Mt. View HS? How long have you been coaching at Mt. View HS? I started coaching at Arroyo Grande HS (near San Luis Obispo) in 1997. We had great coaches there, who were completely dedicated to the kids doing well, and really knew what they were doing. I learned a lot from those coaches. After 4 years there, I spent a year teaching in Germany (I teach math), and then landed the job at Mt. View. I’ve been at Mt. View for 6 years. The first 4 years Samantha Read was the head coach. She is also a very knowledgeable and caring coach that I have learned a ton from. She moved back to Canada with her family, and since then Adriel Rodriguez and I have shared the coaching duties. He takes the lead during track, and I take the lead during cross country. 3) Who are the people that you consider as mentors for you that helped you become the coach you are today? In chronological order: First, Jerry Whitaker, my coach at Foothill HS. Very relaxed demeanor, yet still got results from his kids. Lee Green and Zenon Babrij, my rowing coaches at UCLA. They taught me what commitment and hard work could really get you. Randy Warren, my cycling coach at Cal Poly, SLO. He taught me that you really need to know your sport to teach it to others. James Brown, Tom Tucker, Dave Johnson, Robert Budke, Myra Hirsch at Arroyo Grande HS. (see above). Samantha Read (see above). I go to clinics whenever I can … I’ve learned from the Davis, Arcadia, Rio Mesa, James Logan, etc. coaches. Joy Margerum. Ernie Lee at Gunn. Monica Townsend at Los Gatos. I try to pick up something from everyone. My athletes have also taught me a lot, without them realizing it. 4) How was the transition for you and the runners when you became head coach? I was very worried about it, especially on the girls side, since they were going from a female coach to a male coach. But it went OK (I think). Our girls are still in contact with Sam, but Sam and I are always very much on the same page, so they end up hearing the same thing from her that they hear from me. 5) Describe your expectations for the runners on your team during the summer? Is there a team camp? Well, nothing is mandatory until the Aug 13 date. 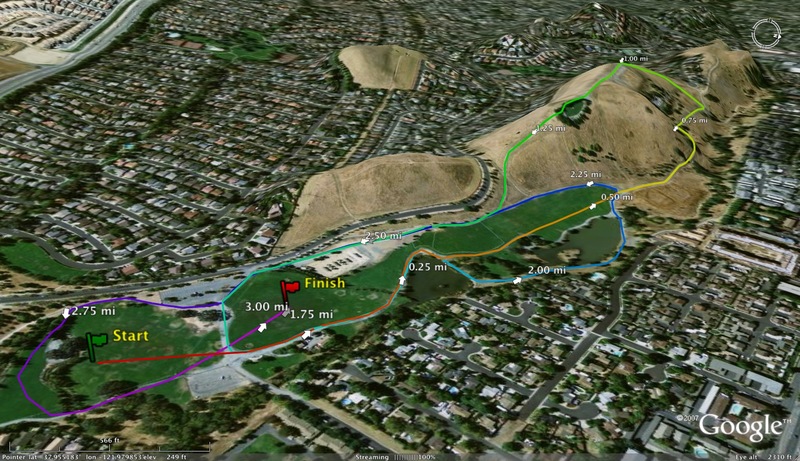 But at the beginning of July, we start meeting as a team 4 days/week for long runs at Rancho San Antonio Park, and then they should do a 5th run on their own. Most kids go, because we do make cuts in August (I just can’t handle too many kids with only 2 coaches) and they know they have to be in shape for the August time trials. During the second week in August, we take 20 kids to Tahoe for high altitude running and team bonding. We camp. We try to do 70 miles that week. 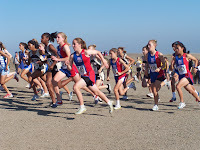 6) How do you go about attracting students from your school to running Cross Country? How big is your team? We have 74 kids this season. 48 boys and 26 girls. I haven’t really been actively recruiting too much. I feel like if you try to take a good athlete and turn them into a runner, it will only happen if their heart is in it. And if there heart is in it, they are coming out for the team on their own anyway. The school does give me a list of all of the 8th graders who are interested in cross country, so I contact them during the summer to make sure they know what’s going on. 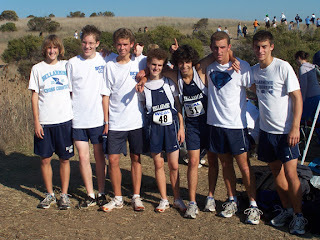 One of our feeder schools has a strong cross country program (Marion Honigman at Blach), which definitely helps. 7) Could you identify an athlete(s) that helped elevate Mt. View XC to the level it is today? On the girls side, I would say it is senior Tania Morimoto. She has brought a completely different attitude to the team. She is a very hard worker, and all of the girls look up to her. 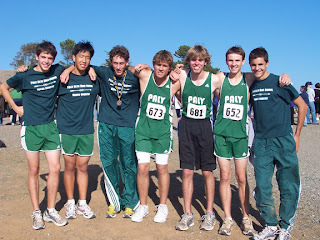 On the boys side, Roger Huang and Robbie Reid, who are now freshman in college (Robbie is 4th man for Santa Clara University) really brought our boys team from nowhere to somewhere. Now that they are gone, Garrett Rowe and Neil Lingarkar have stepped in nicely to keep the boys headed in the right direction. 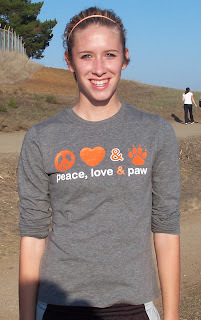 Aaron Landrith is also seen as a leader that everyone listens to. 8) Describe the training area around Mt. View HS. It takes about 2.5 miles to reach dirt, which is unfortunate. During the summer, we stay on dirt. But once school starts, we are on pavement quite a bit, which invariably leads to shinsplints. 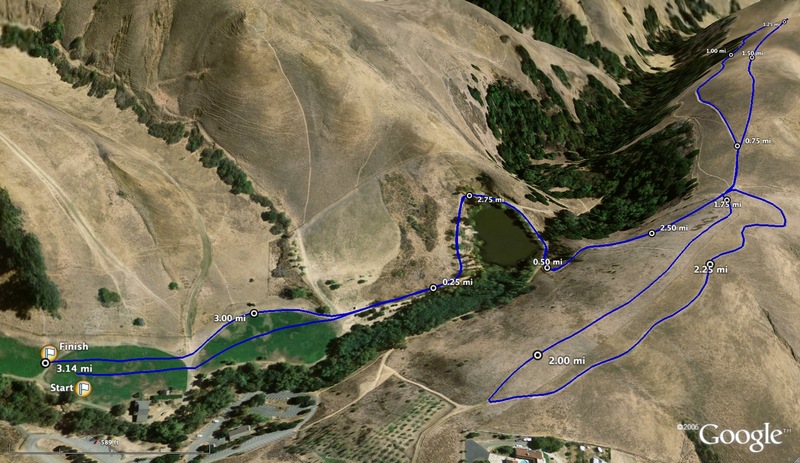 It also takes 1.5 miles to get to the nearest hill, but that acts as a good warmup when we do hill repeats. I wish we were in a hillier area, but things could be worse as well. 9) In regards to your training program, are there key workouts that consider important to your team's success? This season I have been having the kids do more uptempo work for a longer period of time than pure speed work for a shorter duration, which I think is helping us. 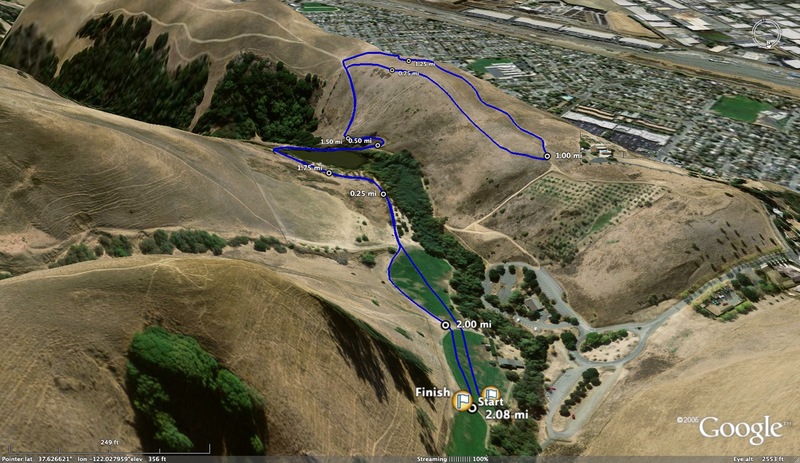 We have also been doing some stuff where we practice running downhill, as I believe that downhill running is crucial for success on a course like Crystal Springs or Mt. Sac. We have also incorporated a lot of core work into our program, thanks to Adriel, and I think it is making a huge difference. These kids are walking around with real 6-pacs, and I think it’s really helping them in the middle of the race. 10) Who are the toughest challengers in your league and in CCS Division II for your boys and girls teams? We have a very strong league. On the boys side, Santa Clara, Gunn, Palo Alto and us all have a shot at winning league. It’s going to be a dogfight. On the girls side, Gunn is huge this year (as always). If we lose to Gunn, we have nothing to be ashamed of, as that is a quality team. For CCS, it’s the same 4 boys teams with the addition of Los Gatos, St. Francis and Serra. Any one of those 7 teams could win on Nov. 10. For the girls, Gunn, Los Gatos, St. Francis, Presentation and Leland are all quality teams. 11) Looking back at your coaching career, can you identify a coaching highlight? 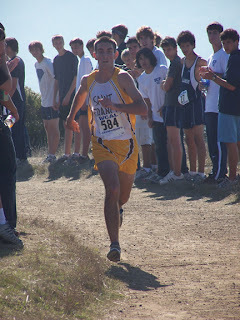 Winning the State Title in track and field with Arroyo Grande in 2001 was definitely exciting. 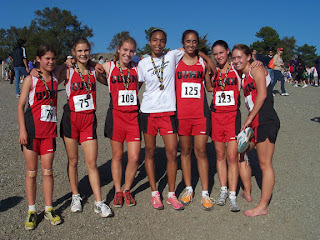 Our girls team getting to the State Meet in cross country in 2006 (a first for our school) was also huge. Right now is also very exciting. The girls are really putting it together, and the boys are exceeding everyone’s expectations. Thank you for everything you do for cross country. I appreciate seeing how we compare to the rest of NorCal. I also really appreciate all of the work that Hank Lawson (Lynbrook) and Walt Van Zant (Wilcox) do to keep everything up to date on Lynbrooksports.com. And the guys on Dyestat as well, of course. As we head into the league championship part of the season, here is my fourth version of the NCS Rankings. I will have have another set of rankings heading into the NCS meet followed by a breakdown of the statistical data following the section meet. Feel free to comment on the following rankings. I do not have all league results to peruse so your feedback is appreciated. 1) Amador Valley-They have been the most solid team in this division. Shawn Daut leads a battle tested group that has not shied away from competition. 2) Monte Vista-Great effort at Mt. SAC to finish 2nd in their race running 81:30. They packed in six runners between 16:07 and 16:47. 3) Deer Valley-They have put themselves back in the hunt for a state meet berth. Narrow loss to DLS in league meet followed by an impressive win at the Castro Valley Invitational. 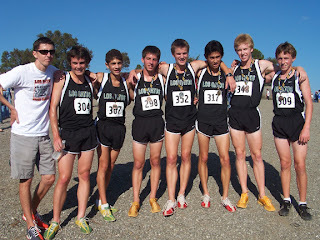 4) Castro Valley-Their strong top three includes the streaking Jack Leng but their #4 and #5 are inexperienced freshmen. Just as this division, anything can happen with this team. 5) College Park-Defending NCS champions might be putting it together just in time for a run at another state meet. On the cusp: Liberty, Foothill, San Ramon Valley, Granada and Antioch. 1) Castro Valley-Strongest team in this division that has run up and down the coast and has lots of depth waiting in the wings if necessary. 2) College Park-Defending champions with the individual defending champion, Alycia Cridebring, leading the way. 3/4) California/Granada-Two league rivals have battled all season with no clear cut winner so far. 5) Monte Vista-Strong showing at the Tri-Valley Classic with individual winner Chloe Wood. 1) Petaluma-They are still top team in this division and in Northern California. Won the Mariner Invitational while missing one of their runners who has since returned. 2) De La Salle-Major depth for this team with a strong frosh/soph group. Might be closer to Petaluma than people think. 3) Montgomery-Solid pack that has had the upper hand over rivals Santa Rosa in league action including a 26-31 effort at last meeting. 4) Washington-Nice effort for them at the Castro Valley Invitational as they finished 5th behind 3 Division I schools and Del Campo. 5) Santa Rosa-Rory McLeod gives them a strong #1 runner which could get them closer in a big field. 1) Carondelet-Winning NCS is just mere formality for this nationally ranked team. 2) Livermore-Have run under the radar for most of the season but that is no longer the case following their Mt. SAC run. Their #1, Diana George, is one of the best in Northern California. 3) Casa Grande-Despite dropping one spot, they are still in position to earn state meet berth. 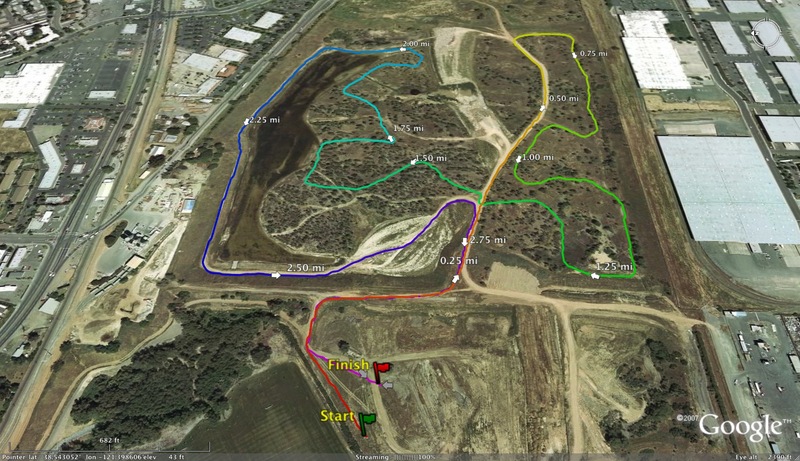 4/5) Montgomery/Santa Rosa-Montgomery won the last battle between two teams but Santa Rosa was missing a few runners. League championship will break tie. 1) Acalanes-In head to head battle with Las Lomas at their last league meet, Acalanes won to finish the DFAL at 8-1 after early season loss to Campolindo. 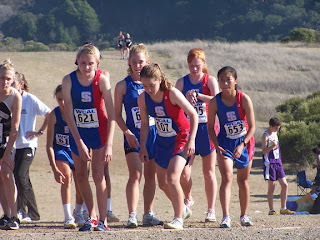 Provided that they can win the DFAL league championship meet, Acalanes will be favorites to win NCS. 2) Las Lomas-Section's most dangerous team that could put it together for NCS title run. 3) Maria Carrillo-Not too many head to head battles with their Division III rivals. 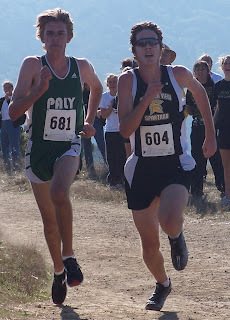 Victorious effort at the Cal Poly Invitational. 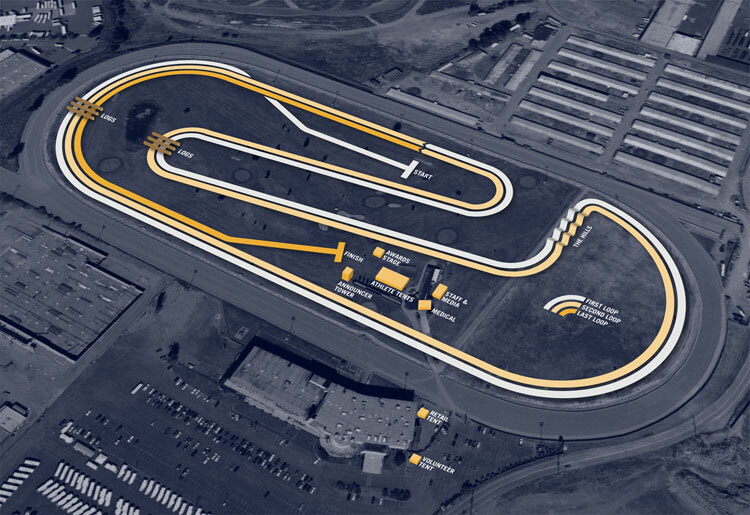 4) Campolindo-They are putting it together at the right time and will be ready by NCS. Capable of beating teams above with inspired run. 5) Redwood-They are the best team in the MCAL this year. Finished 5th last year at NCS MOC. 1) Campolindo-They finished the DFAL schedule undefeated despite some aches and pains toward the last few weeks. 2) Maria Carrillo-Their last effort was a victorious one at the Cal Poly Invitational. 3) Acalanes-They have done well in the always tough and competitive DFAL which will prepare them well for their post-season stretch. 4/5) Redwood/Miramonte-Tough to separate these two teams. At lone head to head meeting, Miramonte came out on top of Redwood, 124-127 at Lowell. 1) St. Mary's-Ranked 4th in state and clearly number 1 in this division. 2) Moreau Catholic-Team that has done historically well in this division. They have a strong front runner in Brian Fix. 3) Sir Francis Drake-Thomas Oliver leads the way for the Pirates who have held their own in MCAL competition. 4) San Rafael-Despite having their top runner transfer to another school, this team could put it together come NCS time with a combination of veterans and youngsters. 5) Piedmont-This is a rebuilding year for them but come NCS time, they could be ready to move up the ranks with a young team. 1) St. Mary's-They are now ranked #1 in this division for the State of California. 2) San Rafael-Strong duo up front and with the usual small field in this division, that should be enough to put them here. 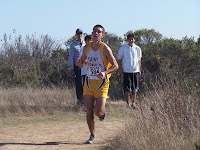 3) Moreau Catholic-Ran well at final HAAL meet and with a strong 5th could challenge San Rafael for the #2 spot. 4) Arcata-Best team in the H-DNC with an experienced crew led by Allie Maher. 5) Piedmont-The defending champions' lowest finish in the past six years was a third in 2004. 1) SF University-No superstar front runner for the this group but their depth makes them #1. 2) College Prep-They have two runners that will finish ahead of the UHS pack but the return of injured runners back to form will be needed to upend the Red Devils. 3) Berean Christian-The top three teams in this division should safely move on to the state meet. With some luck and good running at Hayward, the BC pack could upend their East rival. 4) South Fork-Hank Carl ran impressively at Mt. SAC establishing himself as the individual favorite. 5) Stuart Hall-They have the runners that could take this team to the state meet for the first time in school history. With lots of early season injuries, do they have enough time to put it all together? 1) SF University-Putting it together at the right time. In last league meet vs. CSU and MA, UHS soundly defeated both teams. 2) College Prep-They have been trying to close the gap between their 1-5 runners at their league meets. 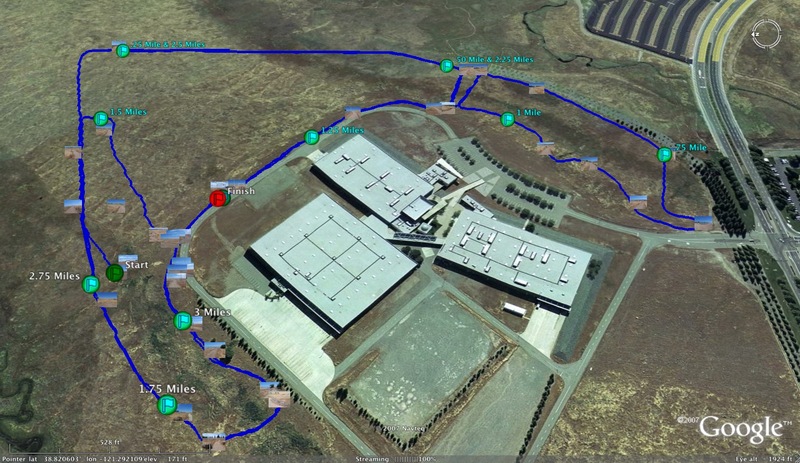 3) Crystal Springs Uplands-2 time defending champions have not run their best race yet this season. 4) Marin Academy-This could be the wild card team in this division with the defending individual champion and a 9th grader hot on her heels. 5) Lick Wilmerding-They finished 3rd behind CSU and MA at the BCL Challenge. Will need a perfect day from all their runners to move past any of the top four teams. Fire away! I am not opposed to anonymous posts because I don't want to limit comments but using your name and school will add a little more credence to your post. Today, Jesuit HS of Carmichael lost their first league meet in over 30 years (losing to Sheldon HS) while University of Portland extended their amazing conference (West Coast Conference) championship streak to 29 STRAIGHT TITLES! I will have more on both streaks later including some feedback from the athletes and coaches involved. The data is mind boggling. FloTrack.com was on site today at the WCC Cross Country Championship at the Crystal Springs course. The videos of the men and women's races will be posted by 2pm courtesy of De La Salle Track and Field Coach Kevin Selby. Feel free to comment on any omissions or the placing of any of the above teams/individuals. Runners 1-5 are shown below in the order they finished at yesterday's Third Center Meet. 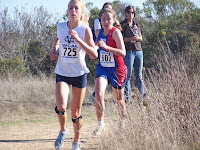 Carlmont's 6th runner, Tamara Abinader (pictured below) would have been #1 runner for every school except for her own team and Prospect. 1st team in history that a team had 6 girls under 19 minutes for the CS course as Abinader clocked in at 18:46! Playing a little catch up with last weekend's Mt. SAC Invitational, here are the reflections of Kenny Durell of Davis and Sarah Sumpter of Healdsburg. Durell is the lead runner for one of the San Joaquin's section best team following their 3rd. place finish last year at the Division 1 state final. 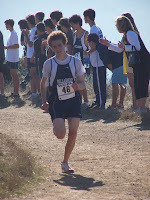 His time of 15:31 at Mt. SAC is 2nd best time on the all time Davis list which dates back to 1985. After completing last year's season as the Davis 4th man, Durell has taken on the leadership role of the Davis team, both in running and as a mentor to his younger teammates. 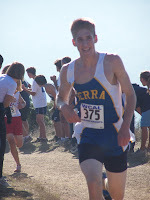 Kenny Durell: I have been on the Davis High cross country team for four years and this is my fourth time going to Mt. SAC. Each year has brought vastly different results, both personally and team-wise, but I have enjoyed each and every road trip down to the fabled course. The entire team (71 out of a possible 100 strong) showed up at 5:45 AM on Friday morning (though some very committed runners chose to come on Thursday night and camp out in the parking lot) and we loaded up the buses and left by about 6:15. The ride down took about 9.5 hours and we did a short shake out run once we got the hotel. The best part of the actual race was without a doubt when I crested Reservoir Hill and saw our huge Davis High flag being waved by all of our JV runners who had finished their races at 7:00 AM. I was being closely followed by another runner at this point, and the guys and girls on top of the hill really inspired me to push the downhill and hold him off at the end. 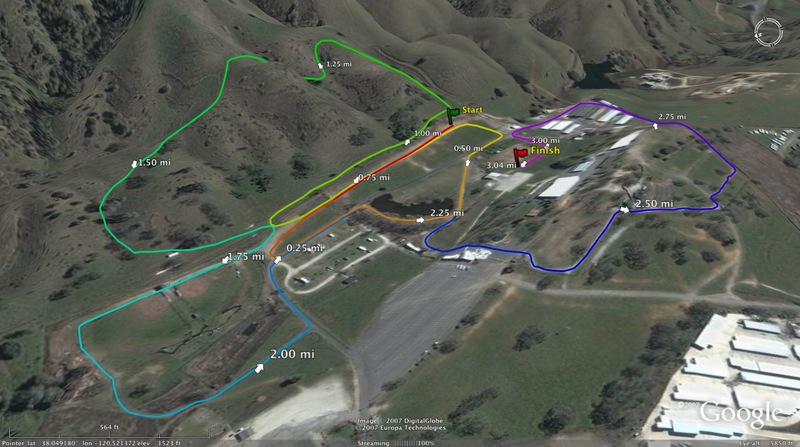 The course is very physically demanding, though not so much because of the course's actual difficulty (the Yolo County Championships course and the two hills at Lagoon Valley are in my opinion tougher) but because the first mile is all flat and encourages runners to go out hot before any sort of elevation changes occur. As well, the superb quality of the field year in and year out really distinguish the course and race. The switchbacks right after the first mile are very tough, if only because of the rapid change in gears to go from fast, flat running to uphill ascent. The downhills are really the keys to running well on the course, as this is where the most ground can be made up or gained. Someone running the course for the first time should definitely keep in mind and treat any flats as places to run a little bit faster and possibly pass other runners, as only comparatively marginal gains can be made by pushing hard on the uphills. My strategy before the race was to just race. Running after such a long and draining bus trip less than 24 hours before the race is really hit-or-miss--you either react and adapt well or you struggle. Taking that into account, I knew that I was going to perform relatively well after feeling good in the first 800 meters. I let the rest of the race just happen, competed and ended up having a little bit more left at the end than I expected. I truly relish every opportunity I am afforded to spend time with the members of the team; we always enjoy ourselves immensely and this year was no different. After the last race ends, everyones' minds turn to Disneyland, and amazingly, the team gear and tents get packed up quicker than they ever have been before. Upon getting back, we spent some time in our rooms showering and playing Guitar Hero on the Playstation with a substantial amount of the team watching and joining in on the guitar shredding, and then after a short talk by Coach Gregg and the parents, we were let free to roam and do as we wished with the rest of the evening. A large group of us hung out together, and as the night progressed, the groups invariably became larger as other team members walking around would join others in line. The night at Disneyland was awesome, and although we went back a little bit early this year on account of all-around exhaustion, the overall experience could not have been more amazing or magical. Sarah Sumpter of Healdsburg has enjoyed a breakthrough Cross Country season for her with numerous victories and course records this fall. She just recently broke the course record on the Martinelli Ranch in Petaluma this past Wednesday, running a sizzling 17:38. She not only defeated Jacque Taylor of Casa Grande but had the fastest time of the day for BOTH girls AND boys. At the Mt. SAC Invitational, she recorded the fastest time of the day on Friday and finished tied with the 8th fastest overall time (17:27) despite running unchallenged and on the warmer racing day. This was my first time running at Mt. SAC, and it was an incredible experience. To have so many runners of such a high caliber all in one place truly inspired us (our team) to step up our game. Our team toughed it out on a 9-hour car ride to the meet. One of the most exciting moments for me was coming down Reservoir Hill at the end of the race and hearing the announcer shouting my name over the intercom. In that moment I was so determined to finish with the fastest time that I could, having that outside voice recognize me only gave me a little extra mental kick to finish hard. 4) Describe the course for runners who have never run on it. finish strong. This course will make you work, but you can work it out right back if you’re determined. 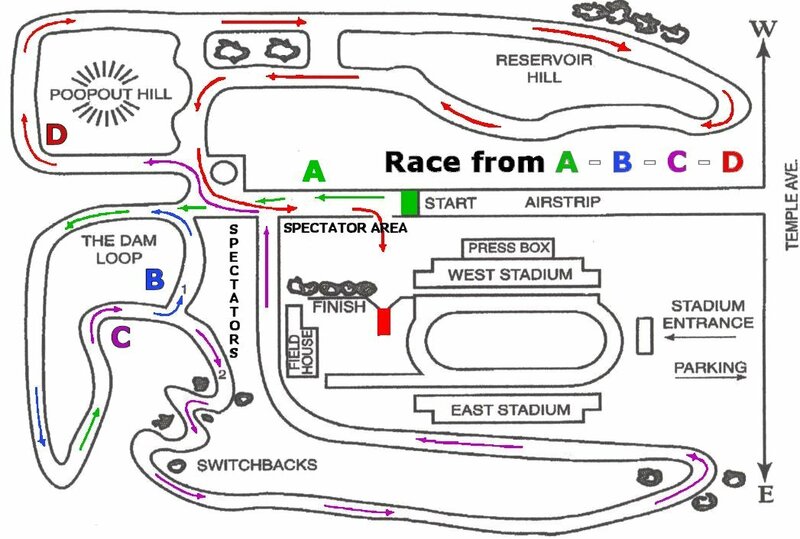 5) What was your strategy before the race? 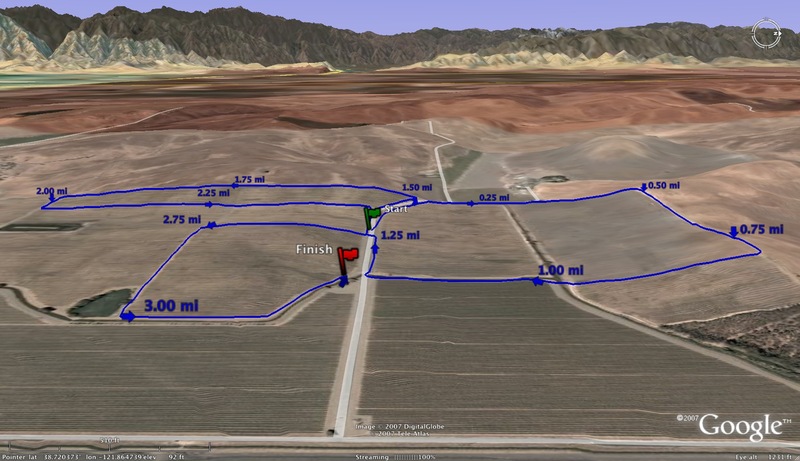 My strategy wasn’t all that specific: get a good lead in the first mile of the race (but don’t go out too terribly hard – remember those hills), maintain an even pace on upward slopes, and finish in under 18 minutes. 6) Did you get to do any fun activities while down there? Considering the long trip we had to make to and from the meet, we didn’t get to do much sight-seeing or vacationing, but our team had a good night of food and celebrating back at our hotel after race. Thanks so much for your interest, it’s been an awesome season. Thank you Kenny and Sarah-AJC! Great interview with Mt. View coach Evan Smith as well as more reflections of the Mt. SAC Invitational from Sarah Sumpter of Healdsburg and Kenny Durell of Davis. Rankings are also on the way and will be posted by this weekend. 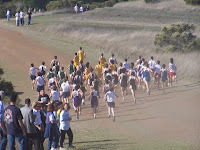 Today's BCL West Meet at the Crystal Springs Course included hosts Crystal Springs Uplands (CSU) along with San Francisco University (UHS), Marin Academy (MA), Bay (BAY) and Drew Schools (DREW). 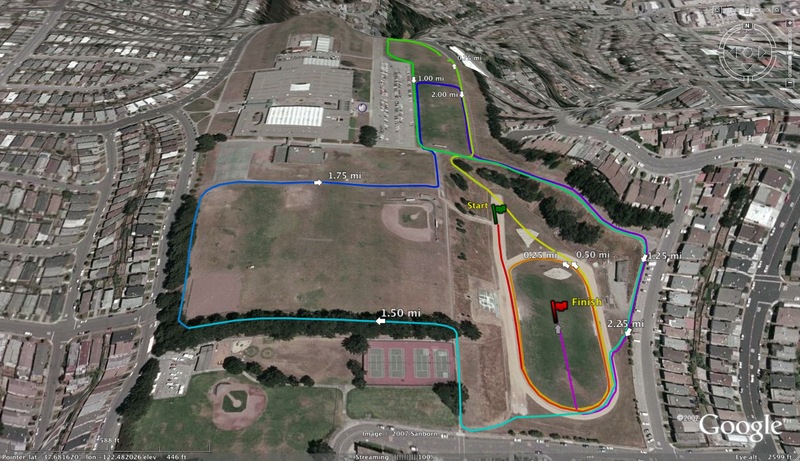 This was the final league meet for all schools involved before the league final which will take place next week on Friday, November 2nd at Lindley Meadow in Golden Gate Park. The girls' race got underway at 4:00pm with three Division V state ranked teams in the race: #4 CSU (above left), #5 MA (above middle) and #9 UHS (above right). The early leader during the first mile was CSU's Alysha de Souza who raced out to an early lead in front of her teammate, Aimee Raleigh, eventual winner Cecilia Furlong of UHS and MA's Alesandra Roger who trailed the lead pack at about 7th place. 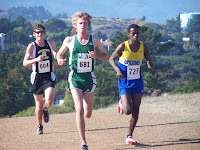 Furlong eventually passed de Souza during the downhill filled 2nd mile and raced to an 11 second victory over last year's NCS Division V champion, Roger (19:30 to 19:41). Furlong, who is running Cross Country for the first time after three years of Volleyball, had an outstanding Track and Field season and will be one of the favorites for the individual crown at Hayward HS (NCS course). Teammates Raleigh and de Souza came in 3rd and 4th respectively. The University girls, who have been plagued by early season injuries, are now back in the hunt for the NCS title. They defeated CSU 24-33 and MA 25-34 while CSU defeated MA 26-31. With MA missing 2 runners from their lineup at today's race, they will hope to join the chase for the NCS title along with UHS, CSU and College Prep from the BCL East. The boys' race got underway at 4:30pm with the pre-meet favorite being the San Francisco University squad (pictured above). On the latest state meet rankings, UHS was ranked 4th in the state and will looking to regain the NCS crown that they lost last year to College Prep after 8 straight titles. The lead pack at the first mile mark was all dressed in red (as well as one cardinal shirt). T Bliska of MA and Wieshen Mead of UHS lead the UHS pack and Bryce Cronkite-Ratcliff of CSU. 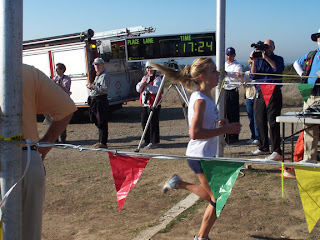 Bliska eventually powered away for the individual victory and was the only runner to dip under the 17 minute mark with a time of 16:52. The weather was warm but noticeable cooler than the conditions of the previous day as the "indian summer" has finally made an appearance in the Bay Area. With 7 runners in the top 10, UHS dominated with easy victories over CSU (15-49) and MA (20-43). CSU defeated MA by a score of 24 to 36. Pictured below are the first three finishers, MA's Bliska, and UHS's Kelahafer and Mead and the top individuals in both races. 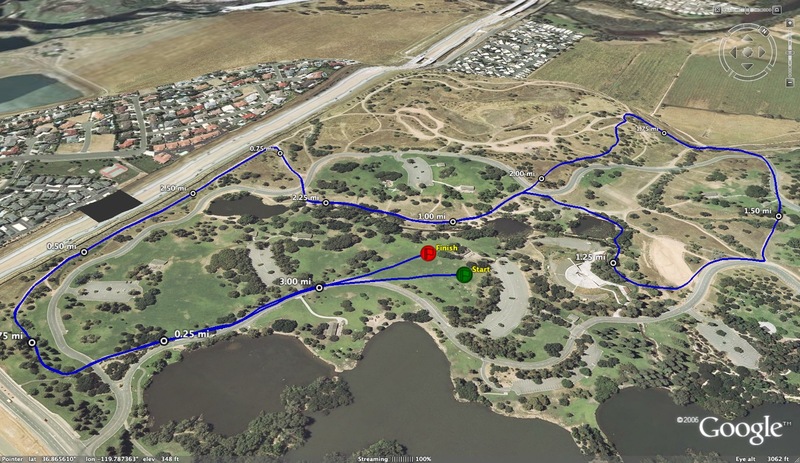 The Crystal Springs Course will get quite a workout in the next two weeks as it will host today's Center Meet, all the league finals next week and the CCS Meet on November 10th. New Rankings Coming This Week! Need a new poll idea!